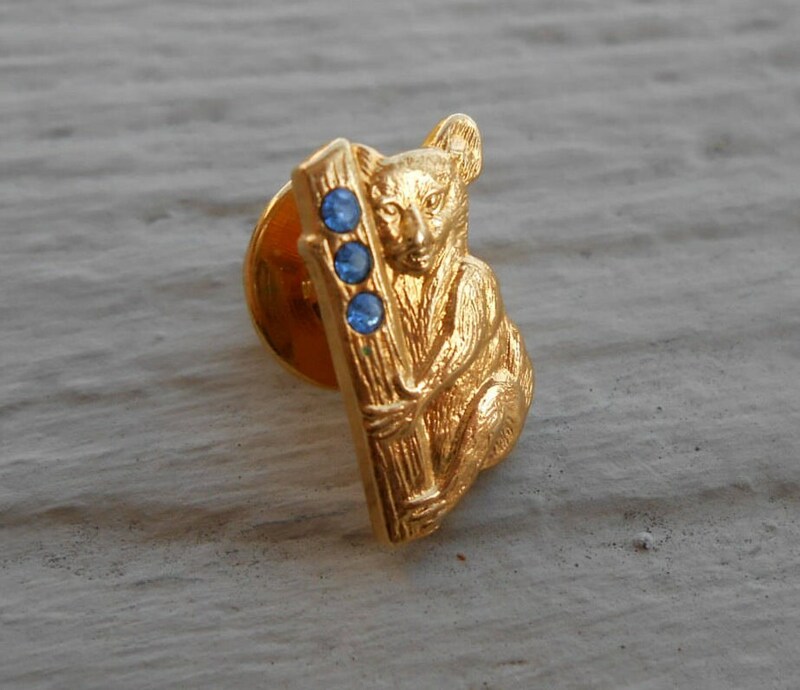 Vintage Koala Bear Pin. Blue Stones. Vintage 1960s. 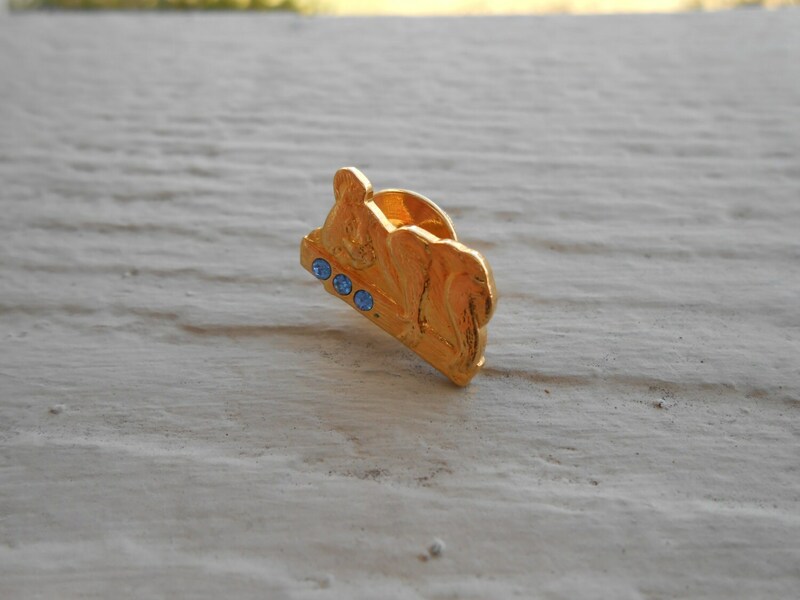 Groomsmen, Anniversary, Men's Gift., Women. This pin is so pretty! 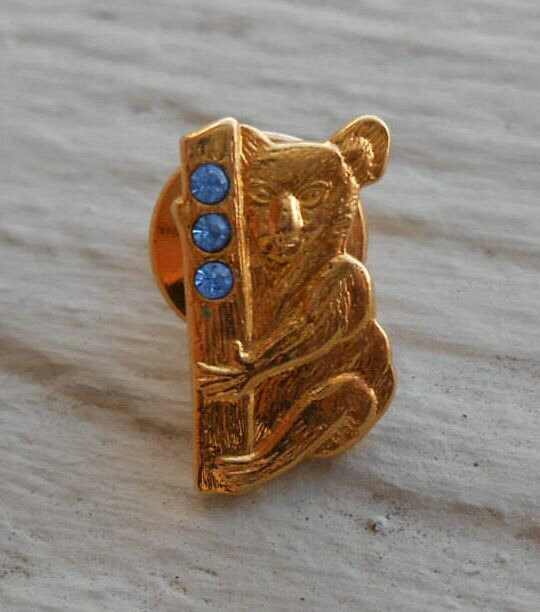 It is made from gold, and is in the shape of a koala bear, It also has three blue stones on it. It would make great gift! 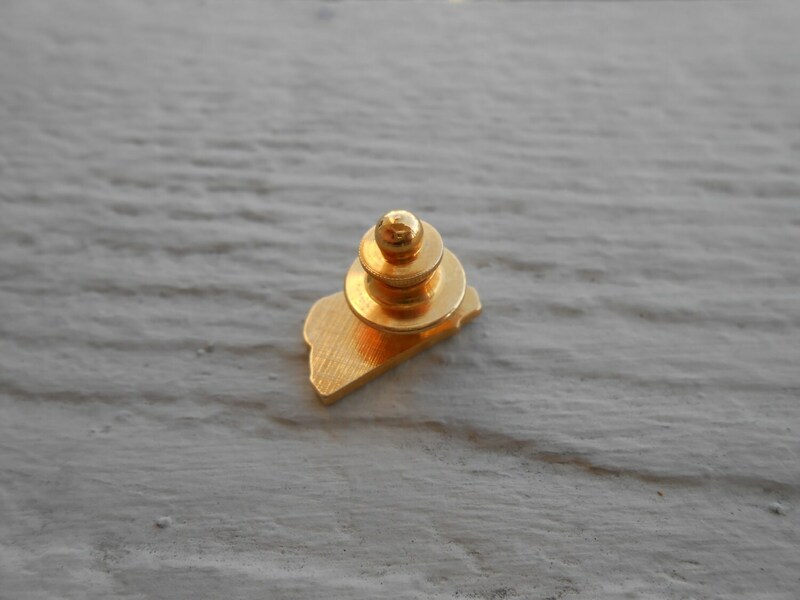 It measures about 3/4". This is in excellent condition. 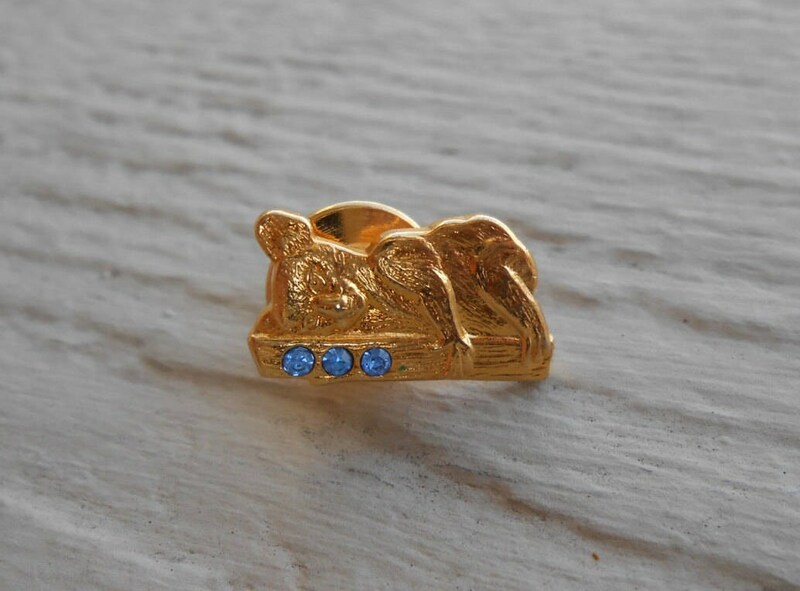 The pin is 1980s, I think.